1. Mayank, please say a few words about yourself. Where are you from? I know that now you live in Mumbai. What is your profession and main occupation? Etc. I studied to be an engineer, worked in the largest engineering company in India in east part of India before shifting to Mumbai (earlier Bombay) about 13 years back. I got back to college in Mumbai and qualified as a business manager. That brings me to my profession. I work as a business manager for one of the largest oil and gas major. That keeps my house running. As I child i was interested in arts, I was an above average painter something I could never pursue in earnest. In Jan 2010, I got to play with a DSLR Camera which belonged to my friend and I bought my Nikon D3000 on impulse then. My camera has been my favorite companion since. To be put it succinctly - its keeps me 'alive'. My wife says, I am a happier man ever since I started photography and I couldn't agree more. 2. How long have you been taking photos and your love story with photography lasts? As I said its not a long love affair with photography, but then who said its time that defines the intensity of the love. My interests have changed or rather matured with time. I began with shooting flowers, sunrises and sunsets, moved on to shoot unknown places of natural beauty in my otherwise concrete city, till I met and saw work of Kaushal Parikh. It was then that I realized what I love shooting is called 'Street Photography'. My other passion is travelling (and I dont get to do it much) and photographing people and places on travel is also of interest. 4. What is your recipe of reserving spare time for your passion i.e. photography? Its always hard to take time our of work. I have 2 small kids (one 5 year and one 1.5 year) who ensure I stay on my toes. I try and spare 2-3 hours every Sunday morning, walking in the streets and shooting. Sometimes I come back empty handed, but I still enjoy. "Life happens on Streets"... is what I truly believe. I just completed a solo travel to Spiti in HImalayas, one of the most beautiful place I have been to and that also keeps the passion alive. 5. Do you plan to go beyond the hobby framework and become some sort of professional? Thats a tough question. But honestly I do not aspire to be a professional photographer. But I do hope I will be able to spend more time doing photography for my pleasure. 6. Could you tell some story of the most appreciated (by yourself) of your works? I am not sure if there is one photograph that I could call as most appreciated. But one photograph that got me my first recoginition and went on to my signature photograph is that of the Mumbai famous landmark 'Sea Link'. It was only 6 months I had started photography with my SLR and I shot this on a photo walk. 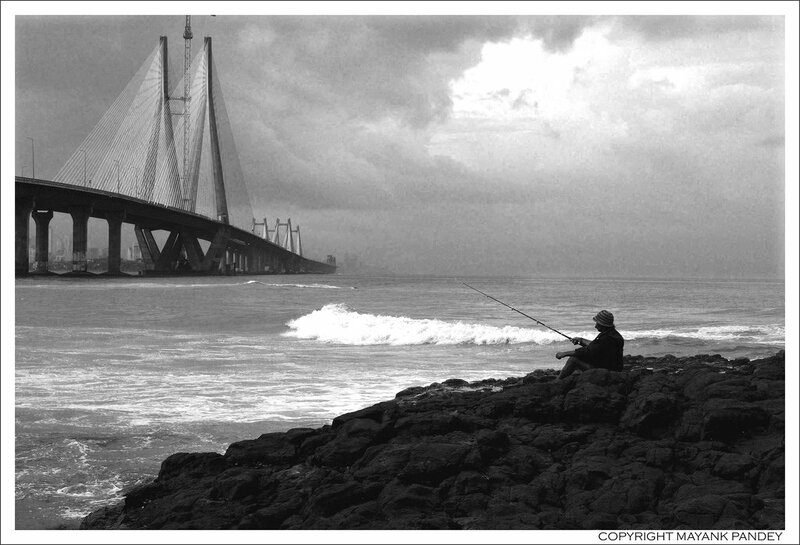 This photograph was interesting because it showed the fast paced life of Mumbai as the new sea link along with a person fishing in the creek. I feel connected with the idea that one can live the life we want to wherever we are. 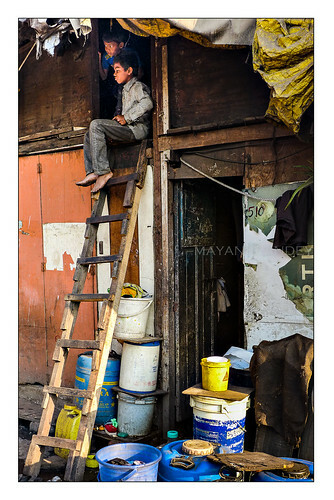 This photograph was also selected for a local exhibition in Mumbai and then found way to an exhibition in Romania. There are many which are appreciated more, but this one will stay special for me. 7. As for me Mumbai is a very special city. And I suppose may be it is the most peculiar and having its own unique atmosphere throughout the whole India. Of course I can mistake as I've never been to your country. It will be very interesting to know your point. And certainly could you show the photos that transfer the spirit of the city better than others to your mind? I am not sure if I love Mumbai or I hate it. But its fascinating, and I continue to discover it. I am not sure if Mumbai is any different from any other large city of the world. Maybe its not. Its also a city with huge contrasts.. very rich and very poor. It is said that more than half the city does not have home and yet the most expensive residence is in Mumbai. Call this the socialist streak in mine, but if one emotion that it evokes in me is sadness at how difficult life is for many people. My photograph 'Divide' perhaps captures this emotion best. 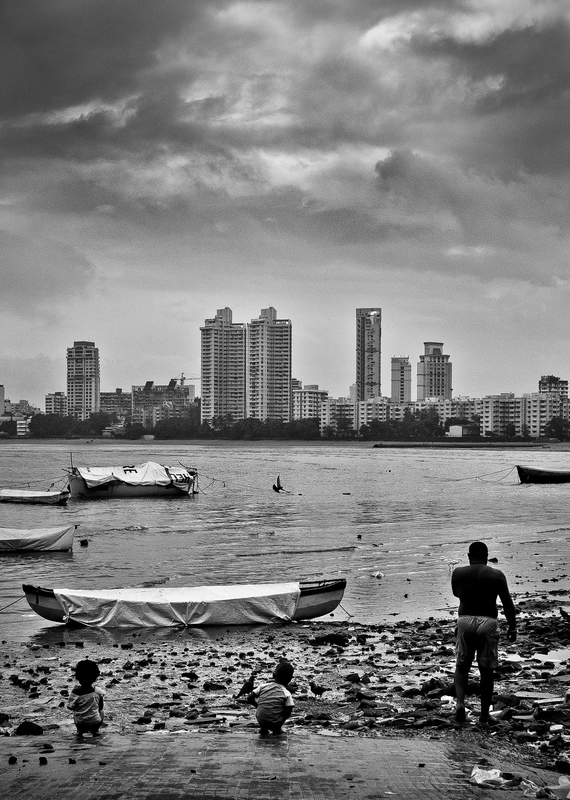 Another one that reflects how tough this city can be for kids is titled "Home"
But that's not all that Mumbai is. Its a city of dreams, its the city that gets up after a major terrorist attack and goes back to work the next day like nothing happened. I hope in my lifetime I will be able to capture well this city and its people. I have just started. And here are the author's personal web sites and pages where you can get acqainted in deep with his creative photography and his individual bright view on rather ordinary objects. Welcome and enjoy.